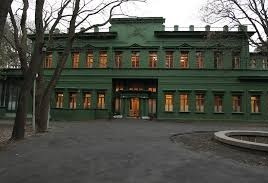 Since his appearance in pre-revoulutionary St Petersburg, Grigory Rasputin has remained an object of intrigue, speculation and rumour throughout the world. The incredible story of the peasant from the obscure village of Pokrovskoe, Siberia, who would meteorically rise to become (albeit briefly) one of the most powerful figures on the world stage, continues to captivate and amaze modern historians. It is said that this mysterious monk held seemingly Biblical powers such as the ability to heal the sick, foresee future events, and demonstrate startling feats of telepathy. Wherever Rasputin wandered, his influence and reputation grew, some venerated him as a true holy man of God, whilst others dismissed him as a confidence trickster and charlatan. This was chiefly due to Rasputin’s well documented affection for the temporal aspects of existence, which is of course at odds with mainstream Christian ideology. How did this shadowy figure of eccentricity and dubious character manage to win over the trust and affection of the Tsar and Tsarina prior to the abrupt and brutal culmination of the Romanov dynasty? In essence it could be readily argued that prior to his assassination in 1916, Rasputin was effectively operating as the last Tsar of Russia. Colin Wilson provides a fascinating analysis and insight into the life story of one of modern history’s exceptional characters. Wilson’s analysis of Rasputin’s early development and wanderings does reveal a genuinely spiritual character who was clearly motivated by an inner impulse for higher truth, understanding and communion with God. The monk’s charisma, magnetism and uncanny ability to predict future events and demonstrate acts of thaumaturgy, quickly earned him acclaim throughout his home village and beyond. Indeed, on his arrival in St Petersburg in 1905 an Okhrana spy reported that ‘crowds assemble at Rasputin’s, and people wait two or three days before being able to approach the monk.’ Naturally such adoration will be met with jealousy and suspicion, particularly from those with vested interests such as Rasputin’s local priest and the political establishment of the time. This pattern would continue to develop throughout the monk’s eventful life and his enemies did not have to look far for ammunition to slander. 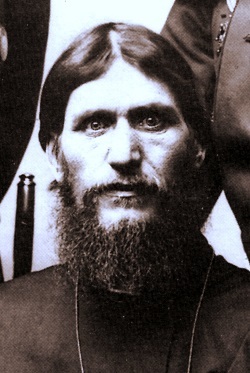 The monk’s nocturnal indulgences became well known around St Petersbourg, and Rasputin rapidly gained an unsavoury reputation as an arch-seducer. Indeed, his indiscretions merely provided his political opponents with an angle to promote him as a negative influence upon the royal household. However, Wilson notes that Rasputin exhibited a perennial naivety and there is evidence to suggest that he was influenced by the mysterious Khltsy sect which do not subscribe to orthodox church doctrine. His spirituality was more akin to that of Zarathustra as opposed to St Francis of Assisi. Rasputin refused to deny the temporal and appeared not to differentiate between the spiritual and the material. Wilson appreciates that the ancient notion of finding enlightenment, and ultimately God, through the celebration of life itself, in all its forms, continues to resonate among sects such as the Khltsy which do not conform to the established dualistic views of the church. Nonetheless, such an ambivalent nature would have been considered abhorrent by the majority of his contemporaries. For a high-ranking man of the cloth to have been so openly promiscuous and debauched was an affront to church and state. Many have speculated about how Rasputin quickly gained such a powerful influence over the Tsar and Tsarina. Wilson does offer considerable detail regarding his thaumaturgical prowess, and cites various accounts from several sources concerning his almost God-like ability. Tsarevich Alexei suffered from the unfortunate condition of haemophilia. Seemingly the only person who could ever stop the bleeding whenever young Alexei had an accident was Rasputin. This was clearly the major factor in maintaining his bizarre influence over the royal household. Political opponents viewed the monk as a menace who had evidently bewitched the Tsarina and was surely conspiring against the national interest. A wave of vitriol directed towards the monk, compounded by the ever-increasing hardships of the first world war upon the Russian people, culminated in the assassination of the Tsarina’s favourite in the early hours of 30th November 1916. Colin Wilson provides an excellent portrayal of one of the most complex and intriguing figures of the twentieth century. He neither sensationalises nor apologises. Wilson merely provides the reader with a highly engaging, informative and objective view-point of the life and times of Grigory Rasputin. This is masterfully presented along with a concise and enlightening historical context, which the author presents very well to the reader. 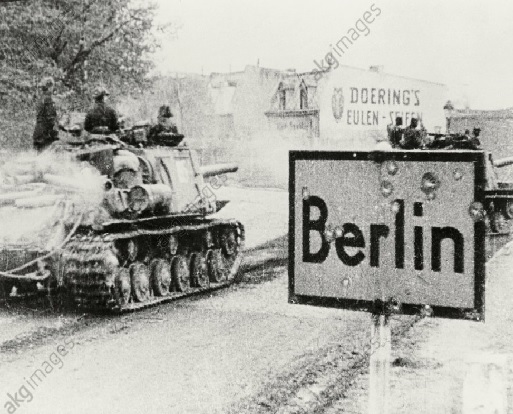 Indeed, students with little or no knowledge of Russian history could appreciate this text as much as experts, and this highlights the genius of Colin Wilson. 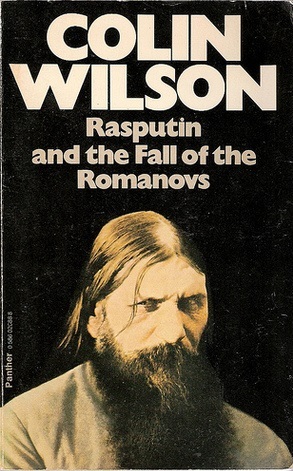 Clearly the popularised image of Rasputin needs to be revised and Wilson has gone some way to doing this. 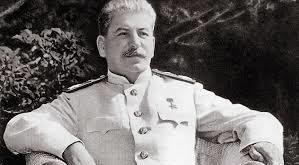 The victors will always write history to serve their own agenda, and it was in the Bolshevik interest to demonise, defile and distort the final chapter of Tsarist Russia. Magician David Fox pays tribute to a genuis. The great Oscar Wilde once stated that ‘we are all in the gutter but some of us are looking at the stars’. Such a profound aphorism readily defines the intriguing personality of one of Britain’s most prolific writers: Colin Wilson. A man who dedicated his life to the pursuit of greater understanding and knowledge; Wilson sought to push the boundaries and venture into areas of study which many (even in the 21st century) would view with scepticism, disdain, and even disgust. 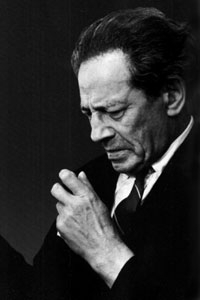 Wilson addressed a variety of subjects, from the 1950s onwards, which resided on the hinterland of modern rational twentieth century society. These included: the occult, true crime, sexuality and the psychology of serial killers. Indeed, Wilson seemed naturally motivated to venture into hitherto unexplored realms of the human psyche, and articulated his findings masterfully and insightfully to his readership. The publication of ‘The Outsider’ in 1956 quickly brought Wilson much acclaim. 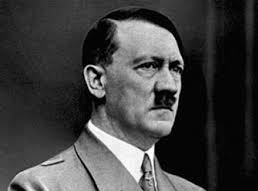 His analysis of famous individuals throughout history who had been predisposed to rebel in one way or another against the prevailing social axioms of their ages, clearly tapped into the prevailing post-second world war zeitgeist. 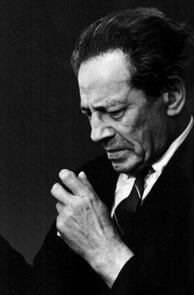 Wilson identified a tremendous sense of social alienation in all of these outsiders, from Vincent Van Gough to Albert Camus, and throughout his life he would remain a champion of existentialist thought and philosophy. 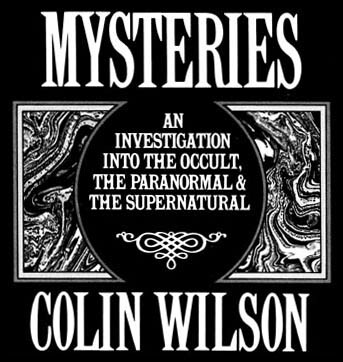 However, it was when Wilson was commissioned to produce an in-depth study of the occult that the focus of his work shifted onto what some would describe as ‘supernatural’. An extensive period of research spawned three seminal works in this area: ‘The Occult’ (1971), ‘Mysteries’ (1978) and ‘Beyond the Occult’ (1988). What is intriguing is that Wilson initially approached this vast subject as a sceptic, but quickly realised that it warranted serious consideration and analysis. The so-called ‘Occult Explosion’ of the 1960s demonstrated the perpetual human urge for deeper self-awareness and spiritual development. The Occident may have created the first nuclear weapons and sent rockets into space, but there appeared to be a spiritual void in the lives of many. Modern science and technology had without doubt alleviated much of life’s immediate problems, but the curious spirit of man knows no boundaries. 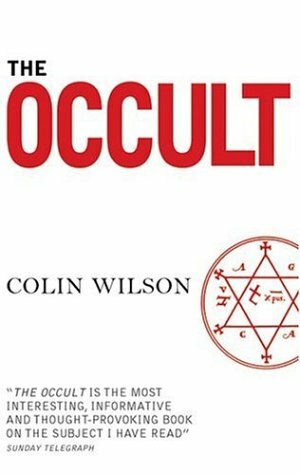 ‘The Occult’ is a wonderful analysis of what some would define as the ‘magical arts’ through the ages. From the ancient Egyptians, to the Kabbalists and modern magicians such as Crowley and Gurdieff, Wilson provides an engaging thesis on an alternative viewpoint of human evolution. He clearly appreciates that from the late 17th Century onwards, cold rationalism began to stifle much of Western man’s potentialities: ‘The science of men like Albertus Magnus, Cornelius Agrippa and Paracelsus may have been crude and defective but it was based on this instinctive recognition of the psychic links between man and nature. The science of Newton, Huygens and Priestley was incomparably more accurate, but it had lost belief in the invisible links.’ Indeed, much of the evidence that Wilson presents in his studies on the occult surely demonstrates that modern science simply cannot provide satisfactory solutions for much of the phenomena we experience throughout our mortal existence. 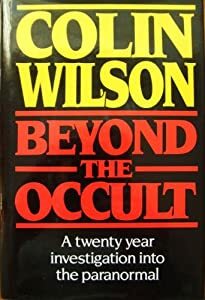 Wilson explored a myriad of fascinating subjects within the domain of the occult, these include: poltergeist activity, dowsing, spiritualism, ritual magic, life after death and astrology, to name but a few. 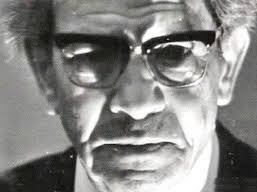 His written style is highly engaging and he did confess that he saw himself as an author as opposed to a researcher (he was also a prolific novelist). Nonetheless, they do raise serious questions about modern science’s current uneasy relationship with these matters. Wilson has collected a wealth of data from a variety of sources throughout the world which does suggest that there are truly ‘more things in heaven and earth’. Approaching Wilson’s work with an open mind will most certainly provide the inquirer with much food for thought.